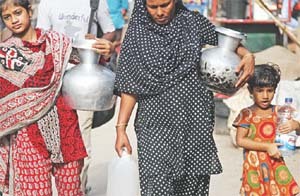 Residents of some parts of the capital have been facing a drinking water crisis for the last several years. The water they are supplied with has a bad odour. Families living in parts of Mugda, Bashabo, Kadamtola, Maniknagar, Mayakanon, Tilpapara and Manda have been suffering the most. The water, however, can be used for bathing, cooking and doing other household chores. 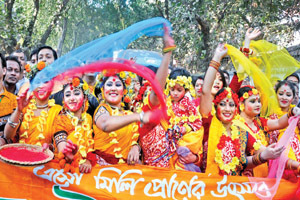 As the sun pierced through the mists of dawn, the choir under the yellow flower laden Bokul tree at the compound of the Fine Arts Institute of the Dhaka University greeted the first day of the Falgun, the Spring, yesterday. Hundreds in yellow and crimson raiment gathered to bid adieu to the winter. 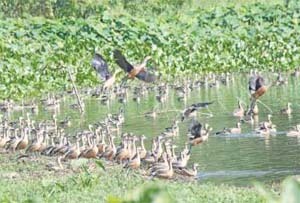 Hundreds of nature lovers are thronging the Jahangirnagar University campus every day to watch the migratory birds twittering and swimming in the campus lakes. Now, the dawn breaks on the campus with the sweet twittering and chirping of the migratory birds. The presence of a huge number birds has turned the campus into a tourist spot where people are coming from different places to enjoy the beauty of the birds. 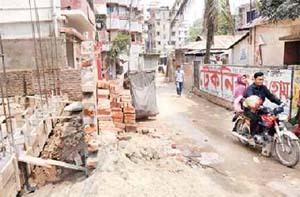 Walking on the Dhaka city’s footpaths with a sense of comfort has become unimaginable because of their poor maintenance with slabs missing or broken and encroachment by hawkers, vehicles and kiosks, piling garbage and construction activity. 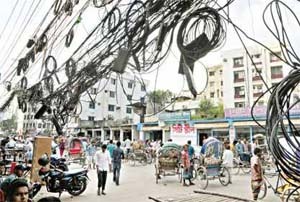 Tangles of Internet and television cables hanging overhead on many footpaths in the capital have not been removed yet, leaving the pedestrians to face hazards and exposed to fatal accidents. 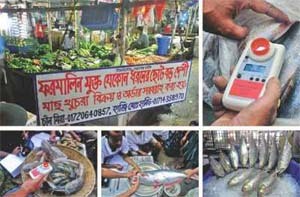 Pedestrians in different city parts have alleged negligence of the authorities concerned while the Bangladesh Telecommunication Regulatory Commission authorities have claimed that they launch regular drives in this regard. Hatirjheel Project, the much talked about recreation centre, is losing its appeal and attraction and started to stinking now. 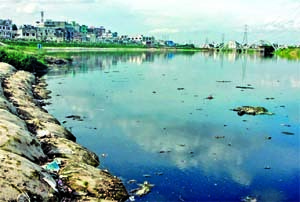 Sources said when it rains, solid waste mixed with it enters the Hatirjheel-Begunbari Lake, and thereby, pollutes the lake water. 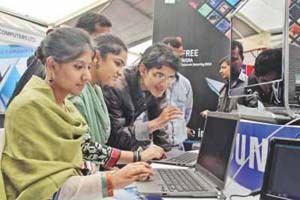 BRAC University on Tuesday organised a daylong Frosh Fest at the indoor game zone of its campus in the capital to welcome the newly enrolled students. This year, BRAC University chapter of the International Association of Business Communicators arranged and coordinated the festival, in which forty clubs participated. They set up colourful stalls, club exhibits and registration booths for membership. Hundreds of tonnes of solid wastes lie scattered and uncollected on the roads and lanes of the capital every day, hindering pedestrians’ movement and causing health hazards and environment pollution. 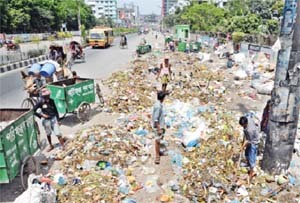 Every day nearly 1500 tonnes of solid wastes are left unattended by the Dhaka South City Corporation and the Dhaka North City Corporation. there is a city corporation dustbin. 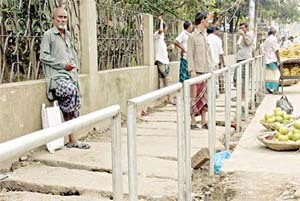 Local people with businesses and homes alongside a three-kilometre road in Mirpur have given up land for free in order to allow the road to be widened by ten feet so that vehicles can pass each other with ease. 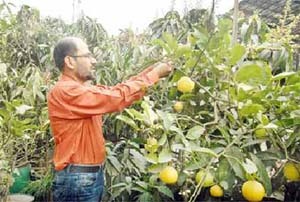 Rooftop gardening becomes growingly popular in the Dhaka city as the land for gardening shrinks every day with construction of more and more new buildings. City’s gardeners and agriculturists, however, cite yet another reason why more house owners getting keen on having a patch of greenery on their roofs, which is, they want vegetables and fruits fresh and free from poisonous chemicals. 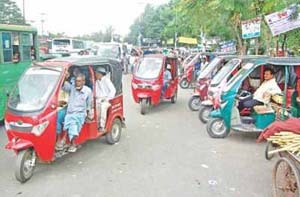 Hundreds of unauthorised commercially run electric three-wheelers have flooded Chittagong city, consuming a substantial amount of electricity daily from the national grid. 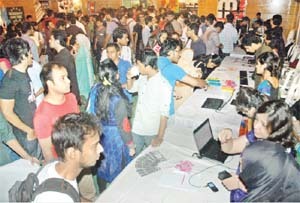 Amid great youthful excitement, Bangladesh Computer Samity’s computer fair kicked off yesterday at the Bangabandhu International Conference Centre. Titled “BCS ICT World 12”, the theme of the exposition is “technology and education for development”. Spread across 90 stalls, the exposition, in its 14th year, will give visitors a ‘touch and feel’ retail experience of the latest of gadgets. The Malibagh kitchen market in the capital has presumably become the centre of attention since it was announced formalin free last week. 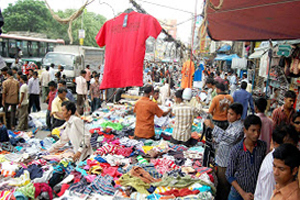 Customers from faraway places in the city now throng the bazaar to buy different items, especially fish. Their enthusiasm is apparent as other markets have not taken any such move against harmful formalin that is widely used as preservative in food items in the country. The 2nd Asian Tourism Fair 2012 began on Friday in the capital, aiming at improving tourism linkage among the Asian countries. Tour operators, travel agents, airlines, hotels and resorts of 10 Asian countries including the host, Bangladesh, are taking part in the three-day fair at Bangabandhu International Conference Centre.